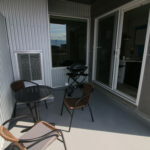 2 bed, 1 Bath – Sleeps 5 (with one person on the living room sofa bed – 5). 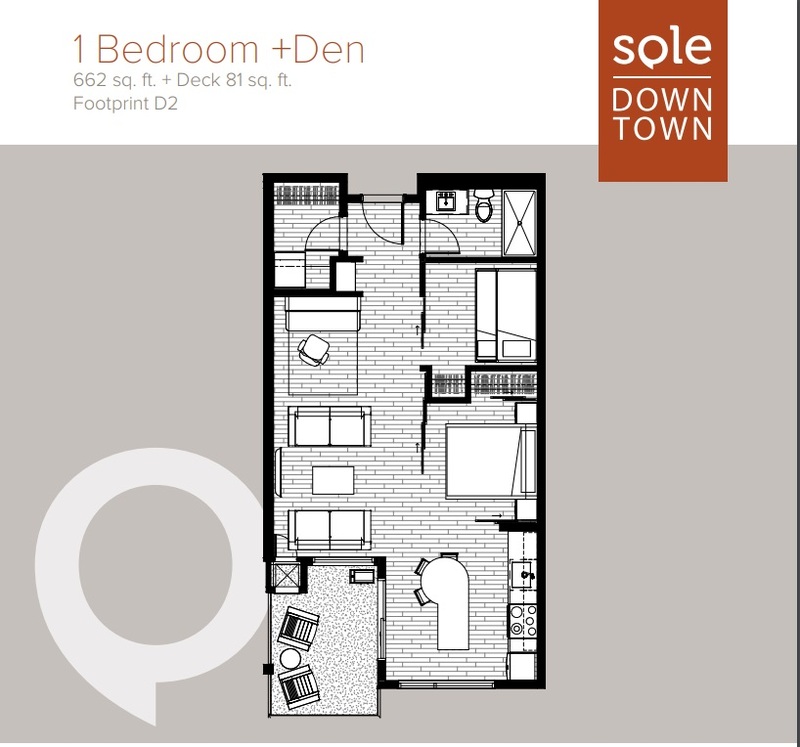 2nd Bedroom is Den with lots of light. 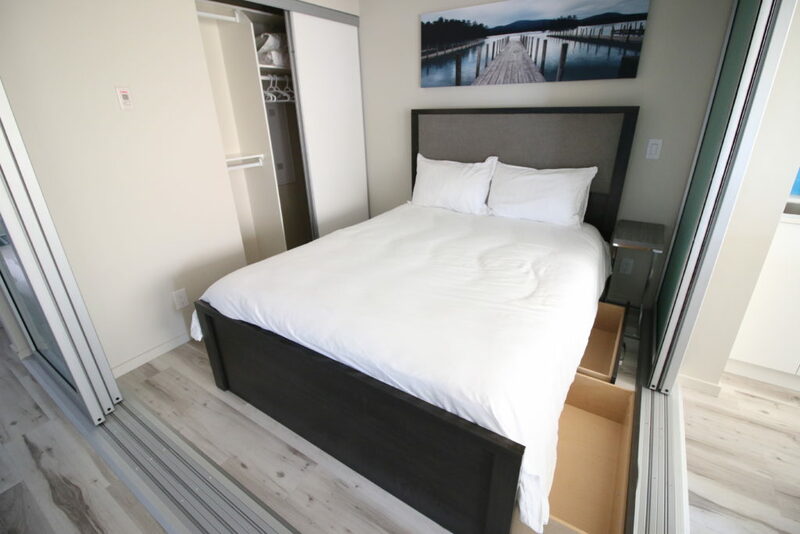 Master Bed is a Queen captains bed with in built drawers for clothes storage. 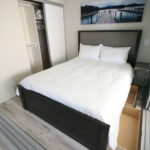 2nd Bed is also Queen Captains bed (Windowless Den). 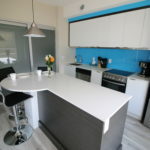 An Island in the kitchen area allows for breakfast-bar style eating, and crockery can be put straight into the under counter dishwasher. 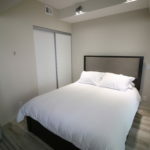 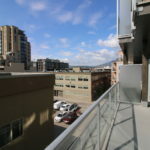 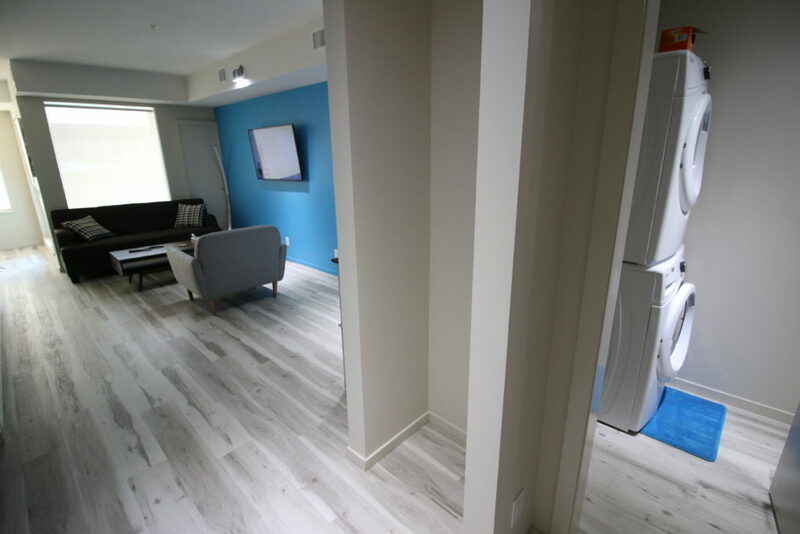 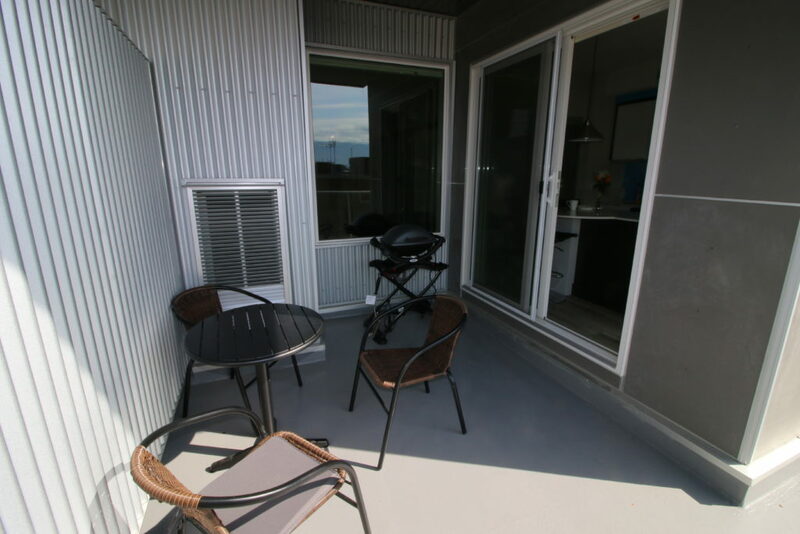 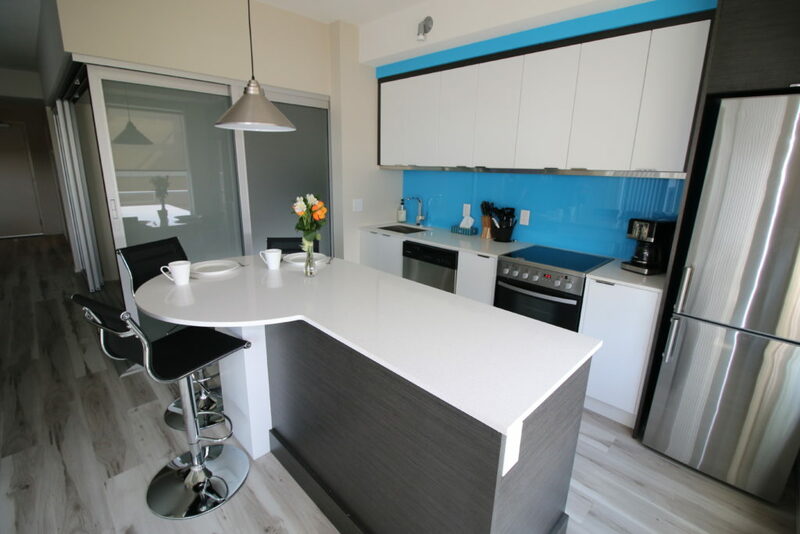 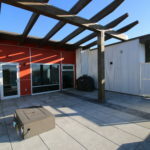 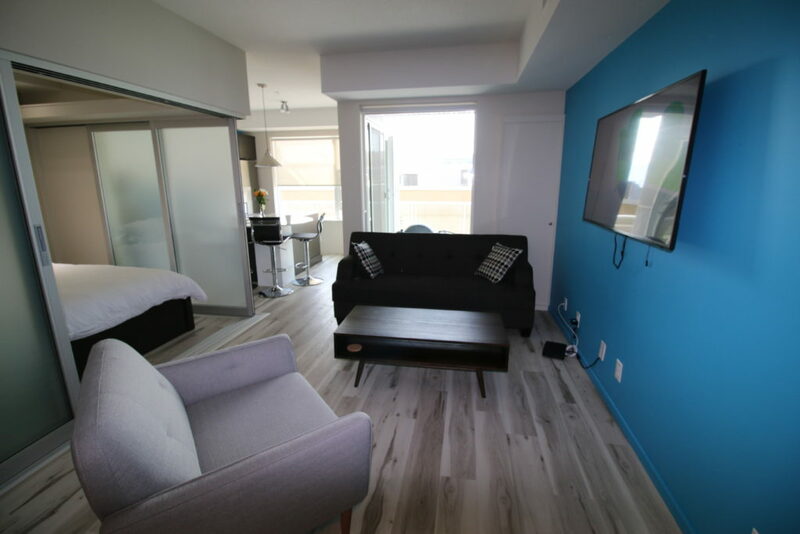 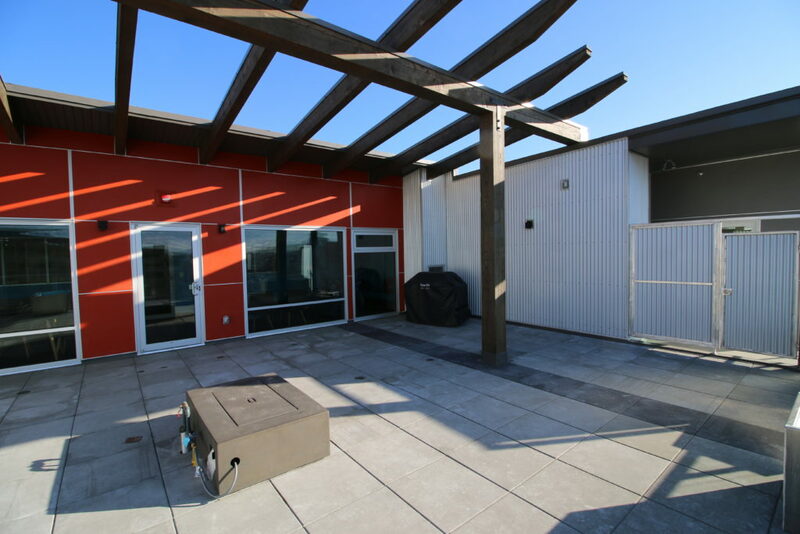 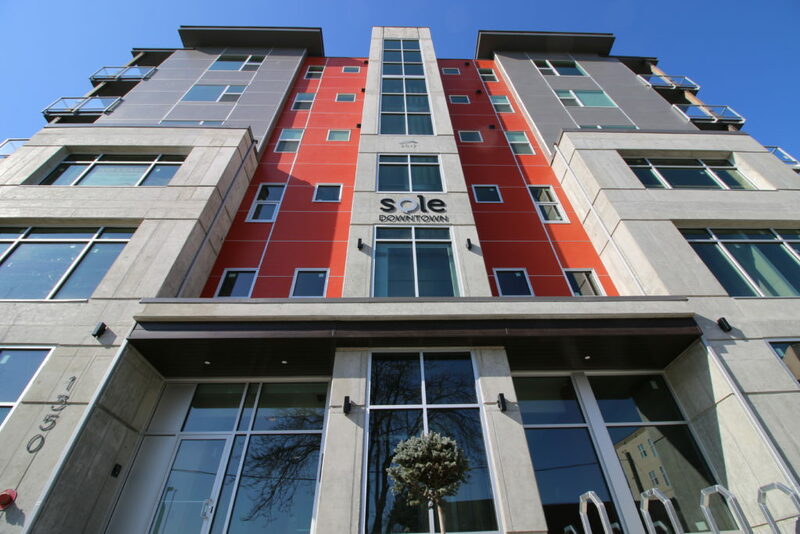 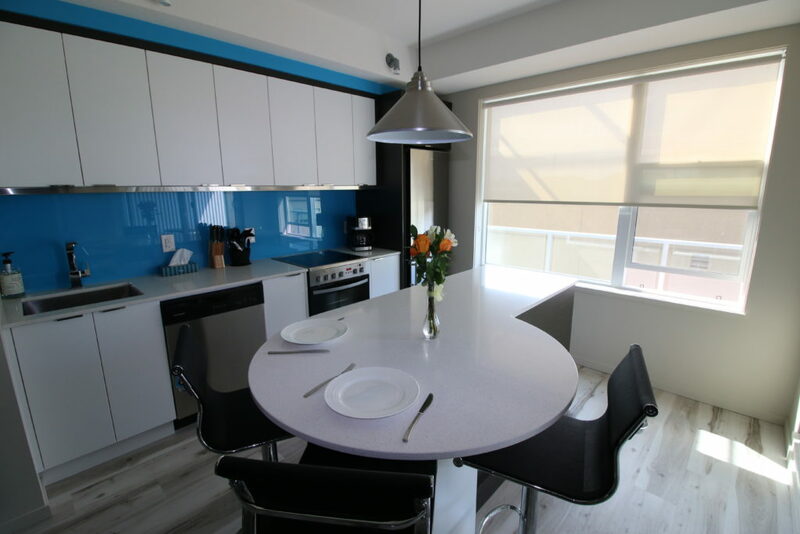 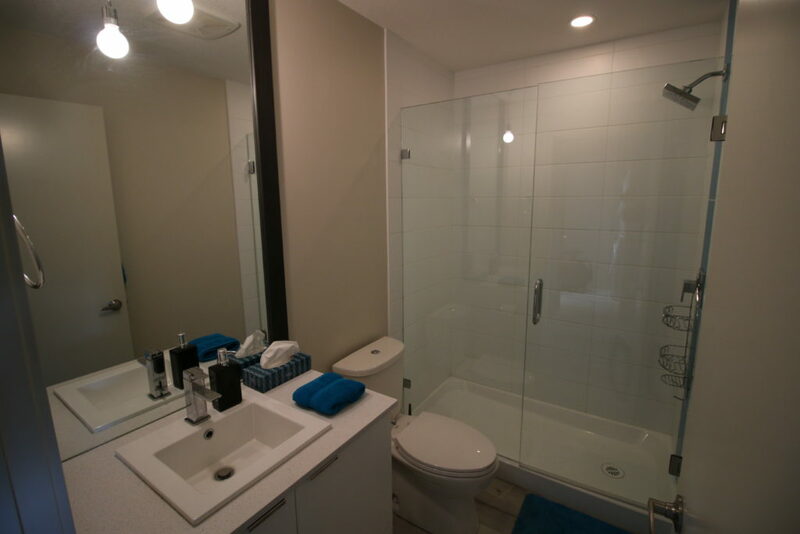 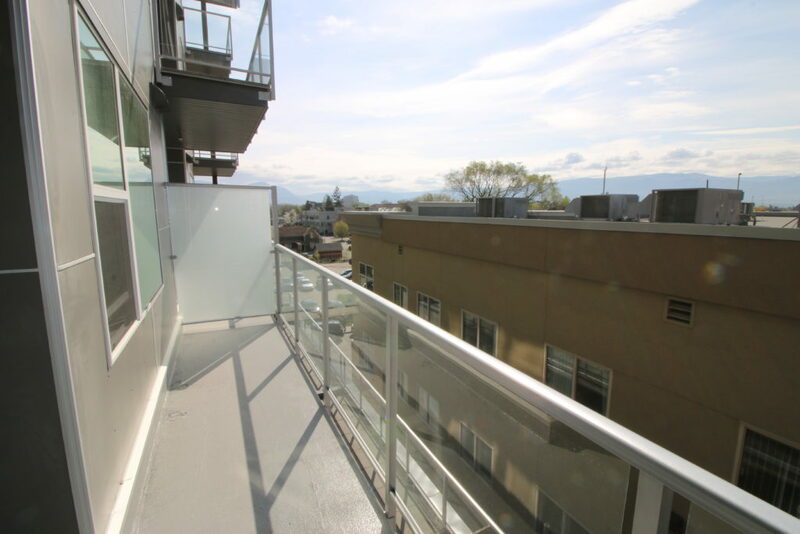 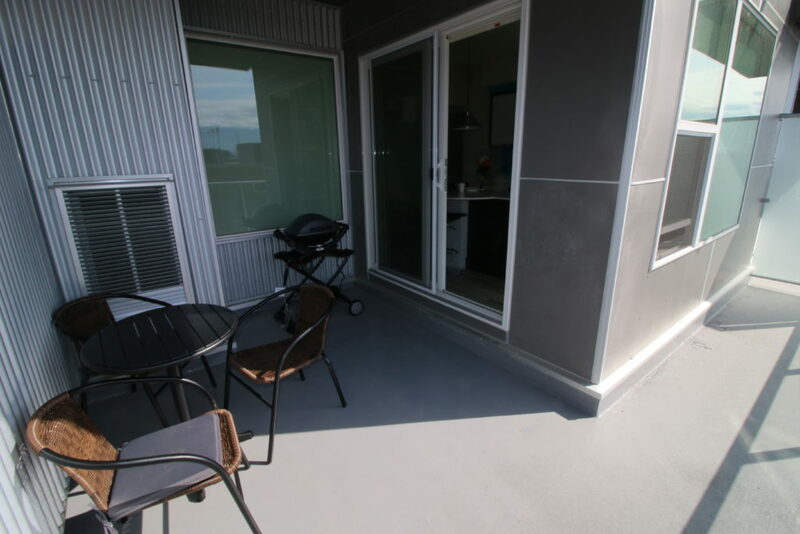 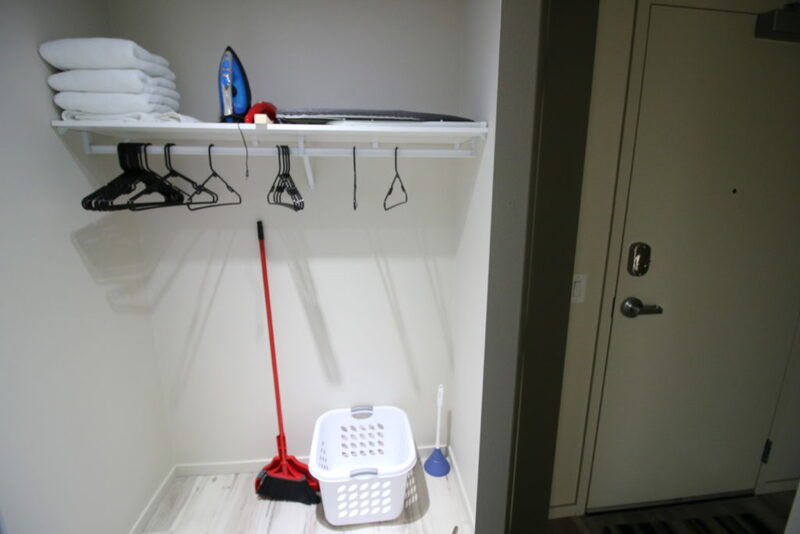 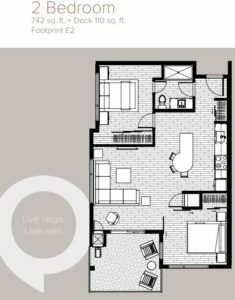 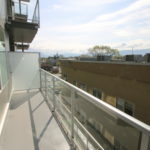 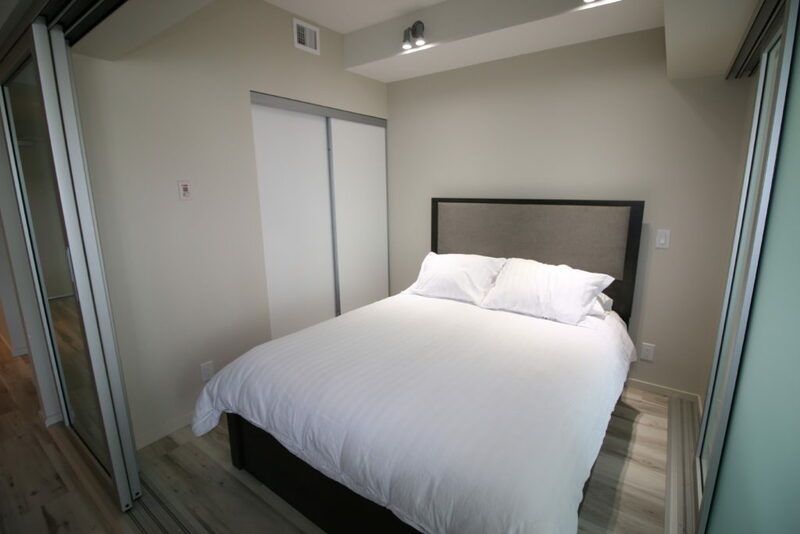 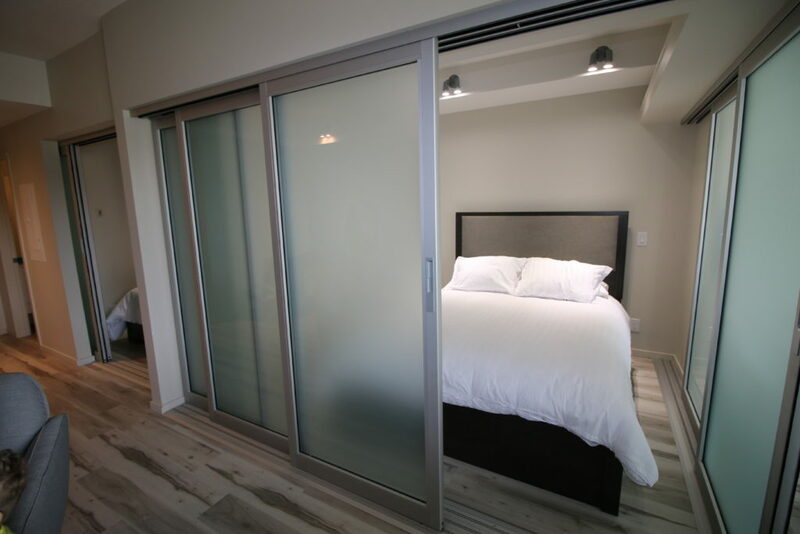 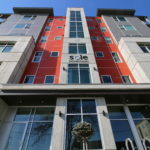 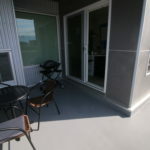 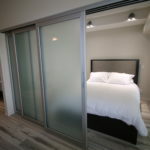 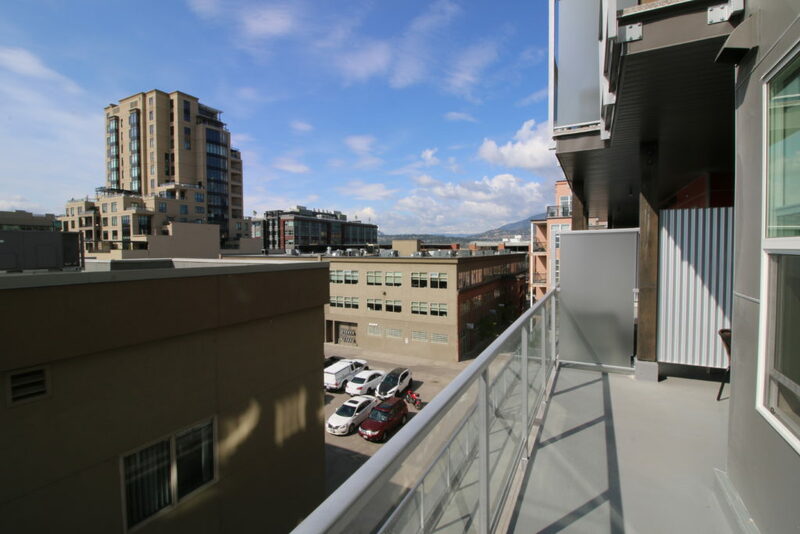 Fully Air Conditioned/Heated by central air, this is city living at its best in this brand new building with brand new appliances and furnishings throughout – including the electric BBQ on the Deck. 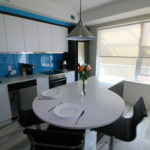 Suitable for Singles, Couples or small family. 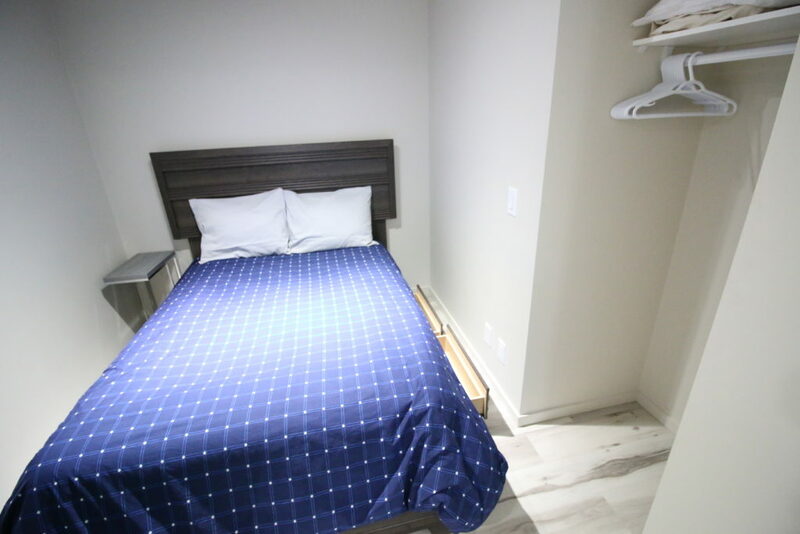 Everything about this suite is brand new 2018, including the building itself. 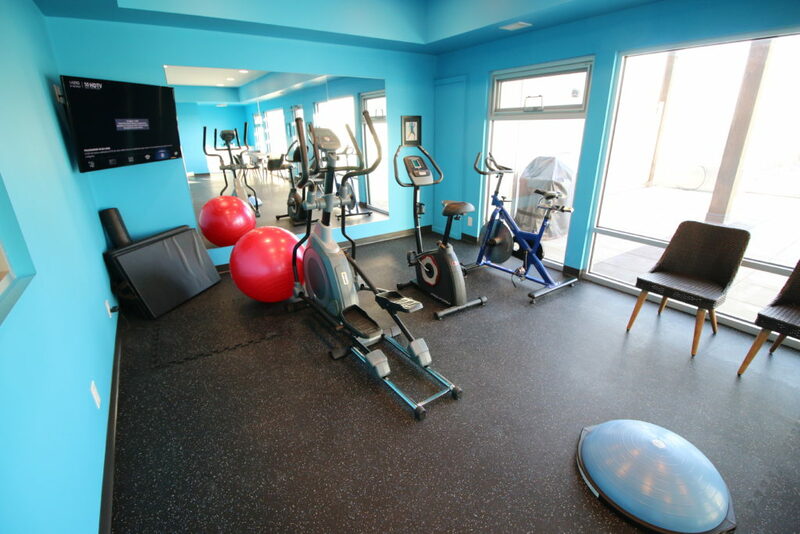 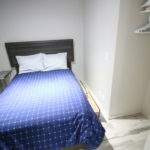 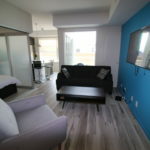 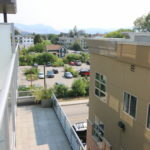 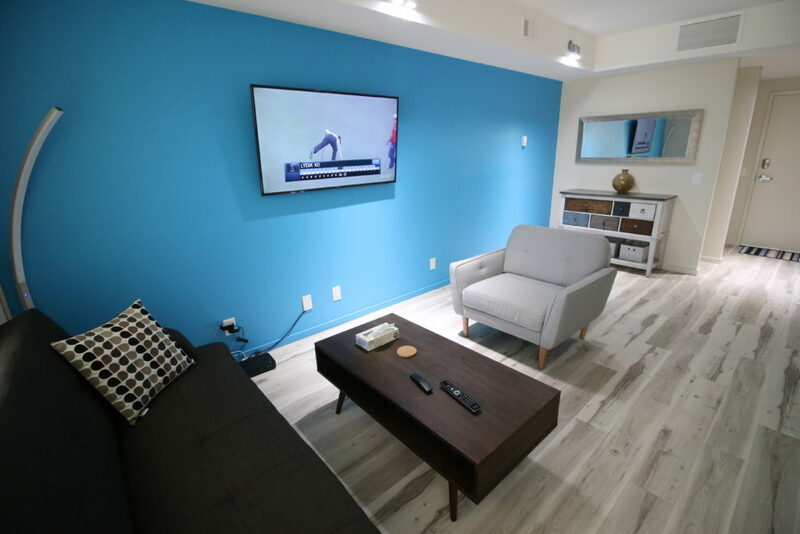 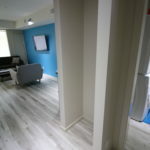 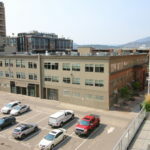 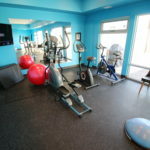 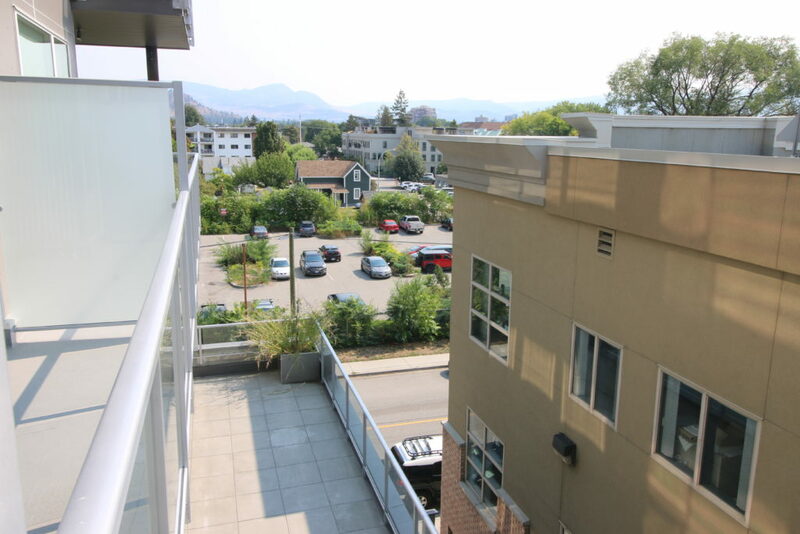 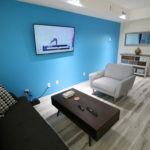 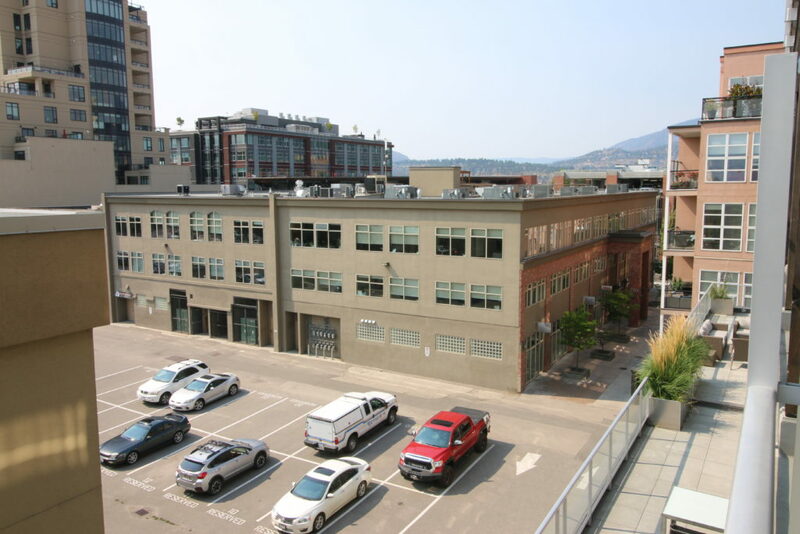 FREE Cable TV, FREE Internet Wi-Fi, and with Kelowna’s weather and rejuvenated downtown, lake beaches within walking distance along with several Pubs and restaurants, this may be the option for you! 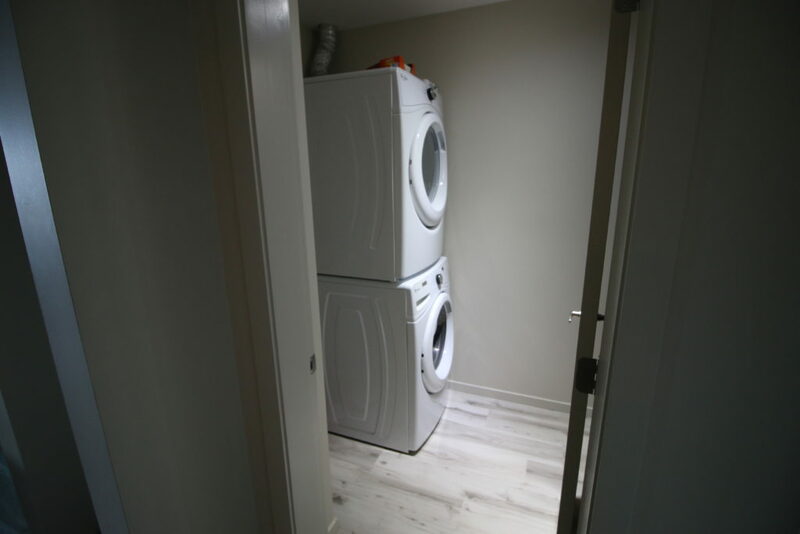 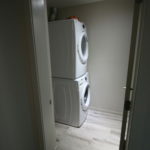 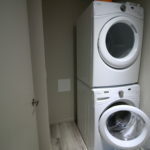 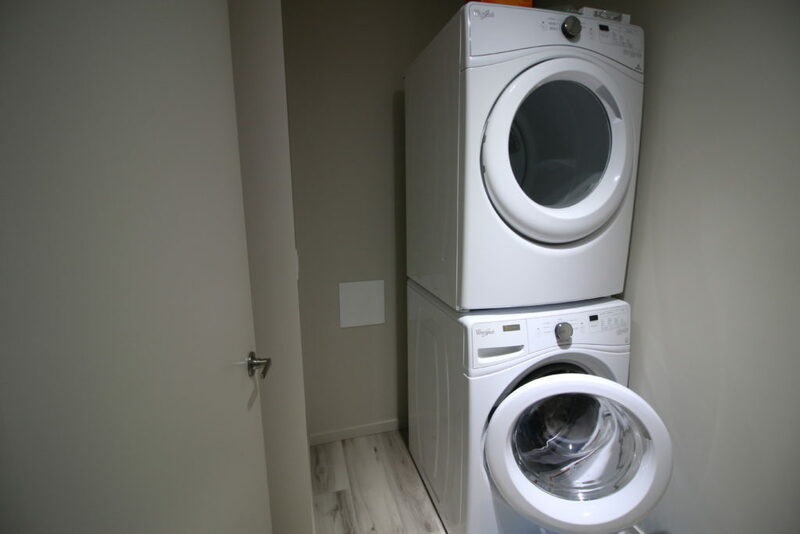 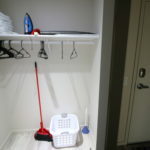 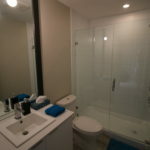 In-suite washer & dryer as well.